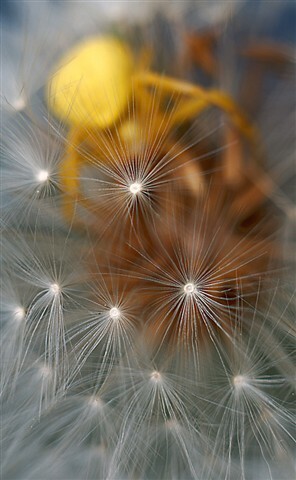 A crab spider on a dandelion. Notes: Extension tubes were used. Subject distance was <150mm.